iPhone 5 Launch October Not September? We have been hearing a number of rumors over the last few weeks that the iPhone 5 would launch in September, first we heard it would launch on September the 5th, and then we heard that it would launch in the first two weeks of September. Now according to the guys over at All Things D, we will see the iPhone 5 launch at the start of October, this follows on from a recent Gizmodo report which said it would land at the end of September after they received some information from an AT&T employee. So it could be the start of October rather than September, but who knows with Apple, one thing I suspect that will happen is that Apple will announce the iPhone 5 in September at the same time as iOS 5 and the new iPod Touch, but it could go on sale anytime after that announcement and the beginning of October. 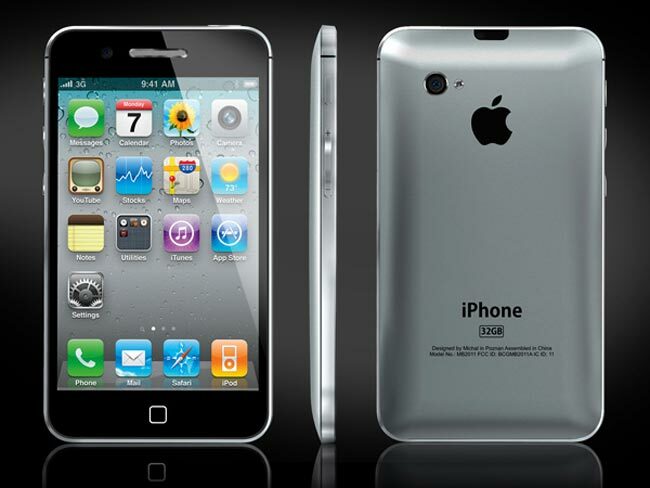 The above image is an iPhone 5 concept design.